This holiday home is just 10 meters from a fishing lake. In addition, it is only 300 meters to the sea and a beautiful beach where you can fish or buy fresh fish directly from the fishing boats that are pulled here on the beach. There are four bedrooms and a Hems with limited sea view and four beds. Furthermore, the house has a well-equipped kitchen, a large bathroom with Jacuzzi and steam cabin and a guest toilet with washing machine. Underfloor heating in the kitchen and in the bathroom. TV with German and Danish channels. 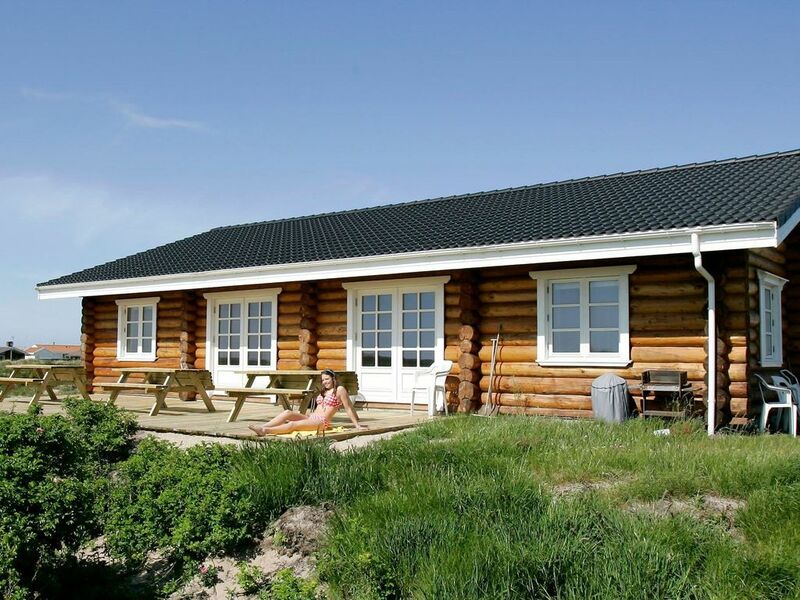 A large west-facing terrace with a view to Hanstholm invites you to spend nice hours outdoors.